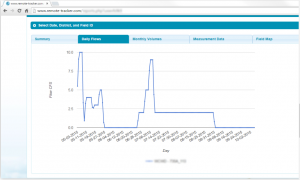 The FLOW website by H2O Tech is the best way for RD108 water users to view field measurement data at any time, from anywhere, on a smartphone, tablet, or computer. A password protected account for each user allows for secure access to a personalized webpage. After choosing the district and time period, a user can confirm their desired field(s) on a map. 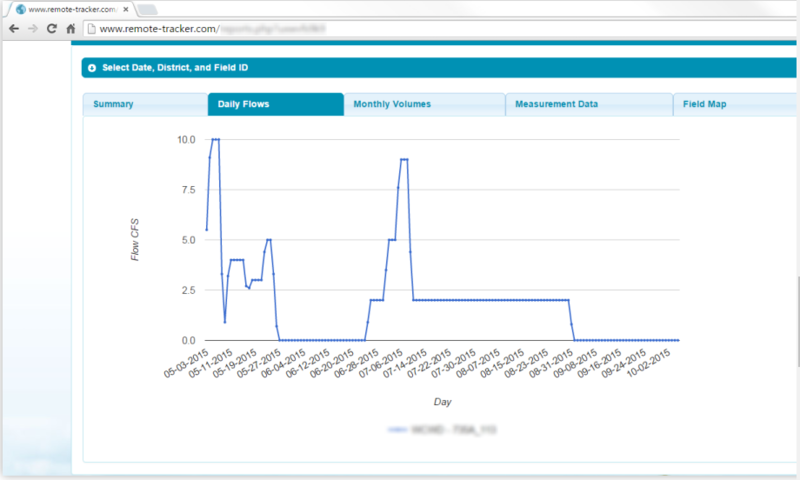 Browsing delivery reports is clear and convenient with graphs representing daily flows and monthly volumes as seen below. Easily monitor current flow rate at each point of delivery, with only a five minute delay from staff’s measurement. Please contact Jordon at (530)682-4205 with any questions regarding the FLOW site.